As one of the founding members of Sonic Escape, Maria Millar has put a lot of pressure on herself to compose and arrange for the flute, violin and cello trio in ways that no one has ever heard. “First, it involves a lot of procrastination,” said Millar, violinist, composer, arranger and self-professed procrastinator. Millar likened her neurotic process of composing to giving birth: slow, even painful, but yielding satisfying results. “I want to explore every kind of possible note combination with each bar that I write, until I’m totally, 100 percent happy — and then I move on,” Millar said. “She has an extremely developed and elaborate way of writing for the violin that I’ve never seen in any other,” said Shawn Wyckoff, co-founder and flutist of Sonic Escape. The two met at the Juilliard School, Millar studying violin performance and Wyckoff flute performance. They started dating in 2000, and then started performing together in libraries in Long Island, N.Y. Someone suggested the two musicians form a group, but they needed another instrument to flesh out the sound. After an extensive audition process, they found the right fit with Nan-Cheng Chen. The trio’s third primary cellist, Chen, also a Juilliard graduate, joined in January of this year. When Millar writes, whether it is an original composition or an arrangement of classical works, she likes to pack the musical lines with extended techniques that stretch the trio’s technical limits. Wyckoff recalled that he could barely breathe when practicing “Walking the Woods in Twilight,” one of Millar’s newest pieces. 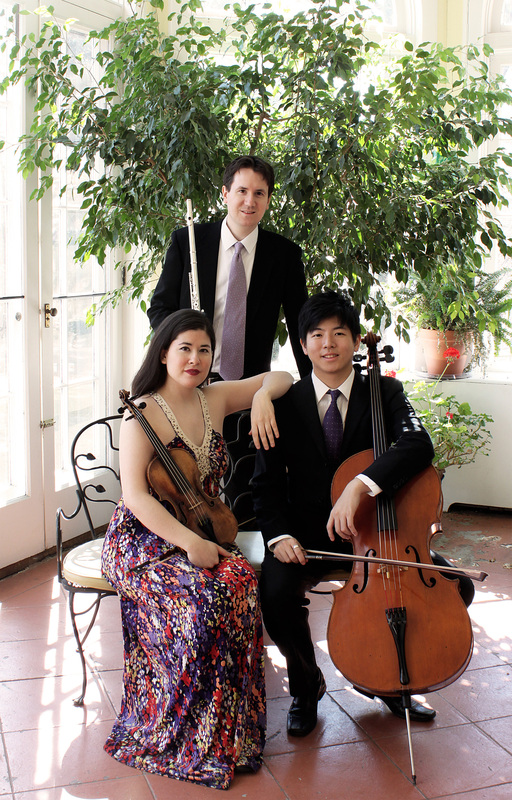 The trio will perform “Walking the Woods in Twilight” and other selections at 4 p.m. today in Elizabeth S. Lenna Hall as the first Logan Chamber Music Series concert of the summer. Additionally, the trio will perform two Millar originals, titled “Mosquito Blue” and “Ghost Ship.” The latter’s eerie soundscape matches its inspiration: the legend of Götland, the disappearing island of the dead off the coast of Sweden. Although J.S. Bach’s “Air on the G String” and Joseph Haydn’s Divertissement No. 2 in G Major will provide some familiar sounds for more traditional concertgoers, Millar remains adamant that Sonic Escape’s music is for all listeners, no matter their background. “We’re like the ultimate non-elitists,” Millar said. “When you see only three people creating that much sound and that many notes, it’s really, really exciting,” he said.